How did this event impact those living at Ocmulgee Mounds? 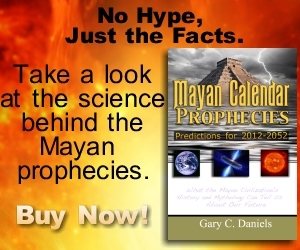 The Earth Lodge with the bird platform is the largest of four such structures at Ocmulgee and certainly the preceding series of celestial events would require countless tribal discussions with all the head men and priests to decide what it all meant; thus, the need for such a large structure. The aftermath of this event also likely disrupted their coastal trading partners. 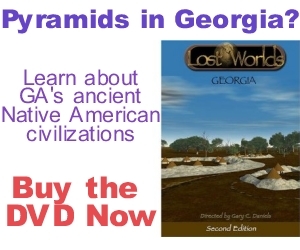 There does seem to be evidence of a depopulation of the southeast Georgia and northeast Florida coastal areas around this time period. Was this due to a tsunami hitting these areas? 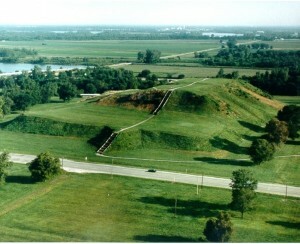 Aerial view of the massive Great Temple Mound at Cahokia. Interestingly, around 1050 AD a massive population increase was experienced at a site known as Cahokia near St. Louis, Missouri. 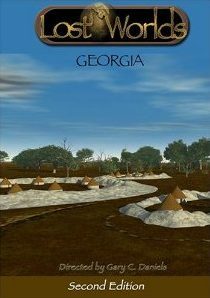 Major construction of public earthworks including earthen temple mounds around central plazas such as those built at Ocmulgee 100 years earlier was begun at this time. A construction style called post-ditch construction that first originated at Ocmulgee Mounds 100 years prior was also adopted at Cahokia. 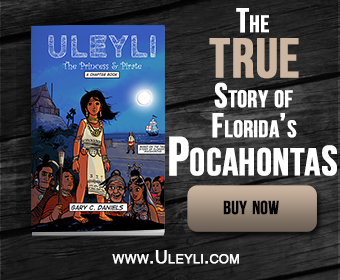 Did some of the elite from Ocmulgee move to Cahokia at this time as their trading empire unraveled and brought with them the technology of post-ditch construction? Or did a charismatic religious leader arise at this time and use these celestial events as a means to influence and gain power over the local populations? This shell mask features concentric circles around its eyes similar to the Chaco Canyon comet. It also features streams of water coming from its eyes and mouth suggestive of a flood. View an interactive 3D model of another shell mask with weeping eye motif. Mississippian art from Cahokia and other locations is filled with imagery and symbols that seem to have a celestial origin and may be influenced by this event. 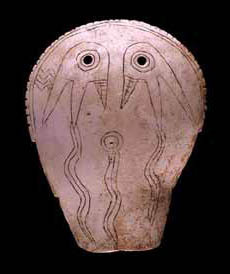 For instance, shell masks with “weeping eye” symbols around the eyes first appeared around 1050 AD. Interestingly, many of these masks included concentric circles around the eyes which served as the head of the weeping eye ‘comet’ similar to the head of the Chaco Canyon comet. 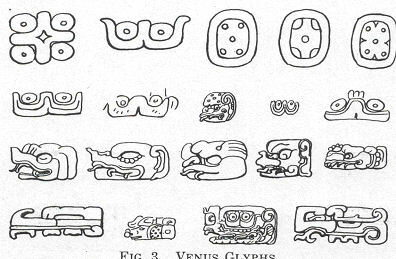 Some masks like the one at left even included water-like designs coming from the eyes and mouth suggestive of a flood. It is very likely that this event also influenced the beginnings of the Southern Death Cult or Southeastern Ceremonial Complex, a religious cult that spread across the southeast producing a variety of symbols including numerous “bird man/hawk man” or “falcon man” images. The peregrine falcon is the only bird which dive bombs its victims from high altitude with great speed, a perfect metaphor for an impact event. The peregrine falcon also has markings around its eyes that are very similar to this forked eye motif and thus it’s logical that this bird became the symbol for this event inspiring priests to dress up like this bird to appease the gods. The appearance of the winged-serpent/ feathered-serpent imagery could also represent this comet, a long bright object that moved across the sky each night like a cosmic serpent. There wasn’t just one earth lodge but four which indicates the need for such meeting places. Interestingly, this coincides with the number of original tribes in the migration legend. It may be that each tribe had their own earth lodge for important discussions. Discussions of trade and war probably dominated these meetings. In one version of the Creek migration legend the leaders were frustrated by the constant warfare since their arrival and were deciding what to do about their hostile neighbors. At first they saw no other solution than to completely annihilate their neighbors but calmer heads prevailed and they decided to befriend them instead. It is not known from the text of the migration legend how long it took for them to come to this decision but the archaeological record does seem to reflect this situation. At first, the Muskogean pottery was completely alien from that produced by the indigenous people of Georgia but later the two styles seem to have merged. This new style, called Lamar, features the shouldered bowls and pottery styles of the Mississippians with the decorative motifs of the Swift Creek. Circular pyramid of Teuchitlan tradition in western Mexico. 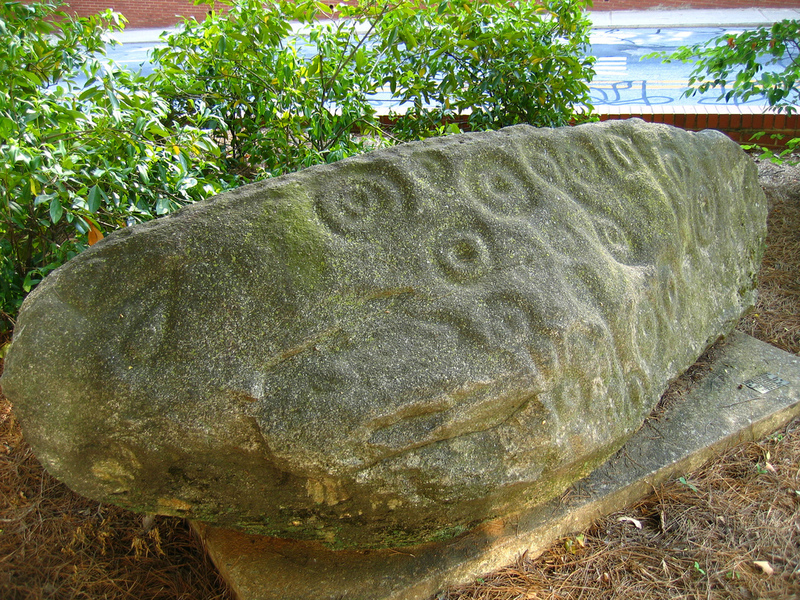 Very near Ocmulgee Mounds is a site known as Lamar Mounds. It is the site where this new pottery which merged both Mississippian and Swift Creek styles was first found. 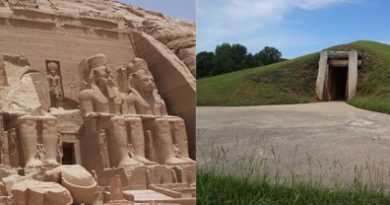 The site features two mounds built around 1325 AD, one a square truncated pyramid mound and another a round mound with a spiral ramp that led to the summit. 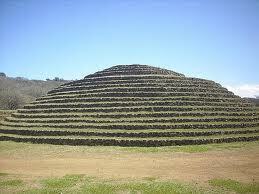 Coincidentally, round stepped-pyramids have also been found in western Mexico as part of the Teuchitlan tradition. Was this the dual capital of the Muskogean and Hitchiti-speaking tribes later to be jointly known as the Creek Nation? Also, the languages seemed to merge at some point in history. Linguists have noted that Hitchiti may have been one of the original languages of the Woodland people. Traditionally classified as a Muskogean dialect, it is now thought that the similarities instead come from extensive borrowing of Muskogean words by Hitchiti speakers. For instance, there is no word for “mountain” in Hitchiti which is not surprising if they were the original inhabitants of middle and south Georgia where no mountains exist. Also, it appears that the Muskogean word for “corn” was borrowed by Hitchiti speakers once they became familiar with this new variety. After 200 years of habitation, the Ocmulgee Indian Mounds site was abandoned. The inhabitants at Ocmulgee Mounds seem to have given up and moved away. Perhaps their agricultural practices had exhausted the land or maybe the constant attacks had made the site too expensive to defend. Whatever the reason, Ocmulgee Mounds would slowly become overgrown with weeds and trees and fade into the mists of time. By the historic period the Creek Indians could not even tell the new British immigrants who had built the mounds. Although the site remained an important place to them, they had somehow forgotten that it was their own ancestors who had built the mounds. 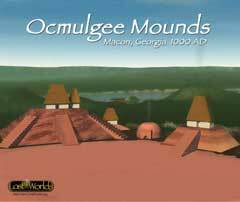 Ocmulgee Mounds was not the last nor even the greatest of the accomplishments of the NativeAmerican Mississippians. Ocmulgee Mounds was just the beginning. Their culture would reach the height of its existence at our next site: Etowah Mounds.